Frustrated with too few call-backs for 2nd dates or a lack of 1st dates? 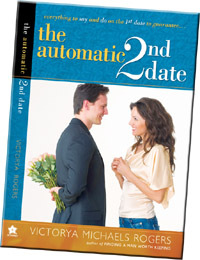 The Automatic 2nd Date fixes that with step-by-step secrets for getting any 1st date plus details on how to behave before, during and after the 1st date to automatically get called back for a 2nd. Follow Victorya’s advice and you’re guaranteed to transform your repeat date ratio! Buy your book on my site and I will autograph it! 10 Dating Secrets that Work! Ever wonder why you’re alone or keep dating Mr. Wrong? From models and movie stars, Hollywood agent Victorya Rogers learned how to attract any man, but not how to keep one or how to find a quality one! After years of research, practice and mistakes, Victorya finally mastered the missing skills. 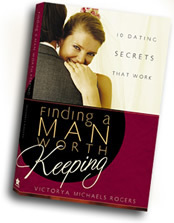 Now happily married, Victorya reveals the top 10 secrets of finding, attracting and keeping not just any guy, but the right guy. The Day I Met God is a collection of powerful true stories of life changing miracles told by extraordinary people. Young or old, rich or poor, famous or infamous - they were all searching for something to fill a void in their lives, and they all found it in a personal, life-changing encounter with God. These 32 amazing stories show how God uses their circumstances of our lives - good, bad, and worse, - to arrange a meeting with Himself. Through miraculous vision, quiet revelations, life and death situations, or gentle persuasion, these people met God, and He filled their empty hearts with freedom, joy and hope. Do you "freak out" when it comes to talking about your faith? Are you afraid--afraid of personal rejection, ridicule, of not knowing how, or of not having all the answers? This book offers easy solutions to those who freeze up, freak out, or "Pass" on the thrill of talking about God. This humorously written book will help you push your fears aside and enjoy the thrill of sharing the most intimate part of your life--your faith. Written by a Hollywood Agent, Music Composer and Television Producer, who have lived and taught these principals for more than fifteen years.